With more golfers per capita than any other state, Minnesotans truly love the game, but there simply aren’t enough of them to support the 500-plus privately owned courses located within the state. Many of them were built during the 1990s when interest in the sport was growing and land was cheap. Some were even built by housing developers as an amenity to help drive sales of houses on the periphery of the course. These days, there is a shortage of developable land and a surplus of courses, making the land increasingly attractive to builders. Such conversions have been met with strong opposition in some communities, leading to delays for some projects. Neighboring homeowners don’t want to lose the open spaces and recreational opportunities that golf courses offer. In Eagan, for instance, the decision to convert the Parkview course into housing took more than a year because of complaints from residents. With pressure on developers to procure land for future subdivisions, the hunt for developable land will continue. According to the National Golf Foundation, the number of rounds played per 18-hole course nationwide fell nearly 15 percent from 2000 to 2011, making the courses ripe for the picking. When a developer comes calling, it’s hard for some course owners to resist. 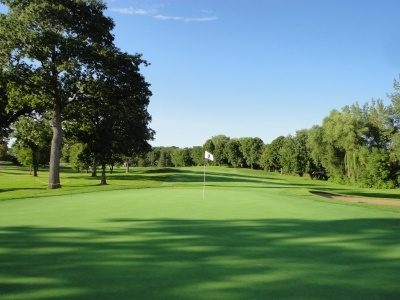 Whether it's derived from a golf course or not, Homes of Minnesota can help you find great homes for sale in Eagan MN. Contact our real estate experts to take the first step towards buying a home today.